General Tso’s chicken is traditionally a sweet, deep-fried chicken dish that is served in Chinese restaurants. 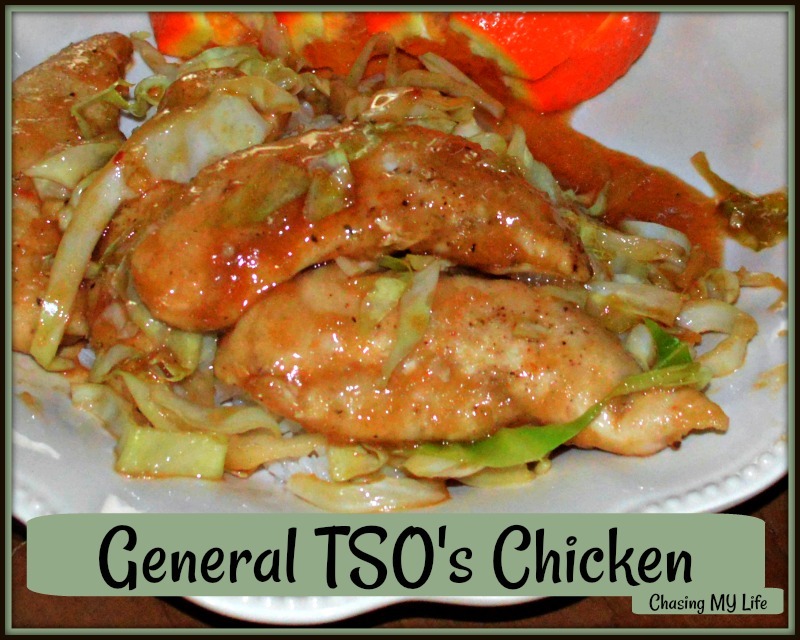 It is often seen as General Tse’s chicken. The dish is named after Zuo Zongtang (Tso Tsung-t’ang), a Qing dynasty statesman and military leader. This baked version of General Tso Chicken is baked for a lighter and much healthier version that actually tastes BETTER to us than the original version AND it is so much easier to prepare. The sauce is sweet and savory and best of all is poured right over the raw chicken for a one pan supper that tastes better than ANY restaurant quality meal. Spray a medium (9×6 or 11×7) baking dish with cooking spray. Place chicken in the prepared dish. Sprinkle with cornstarch and toss to coat. In a separate bowl, whisk together chicken broth, brown sugar, Hoisin sauce, sesame oil, salt, garlic, ginger, and red pepper flakes. Pour sauce over chicken and stir to combine. Bake, uncovered, for 20 minutes. Stir, return to the oven for 5-10 more minutes, or until chicken is cooked through and sauce has thickened. Remove from oven, stir in peanuts. Season with additional salt and red pepper flakes, to taste. Garnish with sliced green onions and sesame seeds just before serving. 1) Serve the General Tso Chicken over rice with plenty of extra sauce spooned over top. We love it with steamed broccoli! 2) If you’re just cooking for 2 the ingredients cut in half really well. I like to prepare it in individual 5×5 Le Crueset baking dishes. This is my husband’s favorite. Sounds delicious! I like that it is in one dish & baked for a healthier option! We are neighbors at Grace at Home link up this week! You’re most welcome to drop by for a cup of inspiration anytime!